Microsoft has announced three new games in the Gears of War saga. One of them will be exclusively for mobile devices and will feature Funko Pop figures. C'est la vie, right? It seems like all the big dogs participating in the E3 are announcing new game releases for Android. One common strategy we’ve seen involves transferring renowned sagas to the platform, i.e. the recent announcements of mobile installments of both The Elder Scrolls and Command & Conquer. Microsoft has followed suit in its press conference with the announcement of Gears POP! for iOS and Android. That said, the nail-biting moments that came before the announcement of Gears of War V were terrible, wondering if this game was going to be the only future release related to the saga. The thing is, you either love Funko POP or you hate it with every ounce of your being. 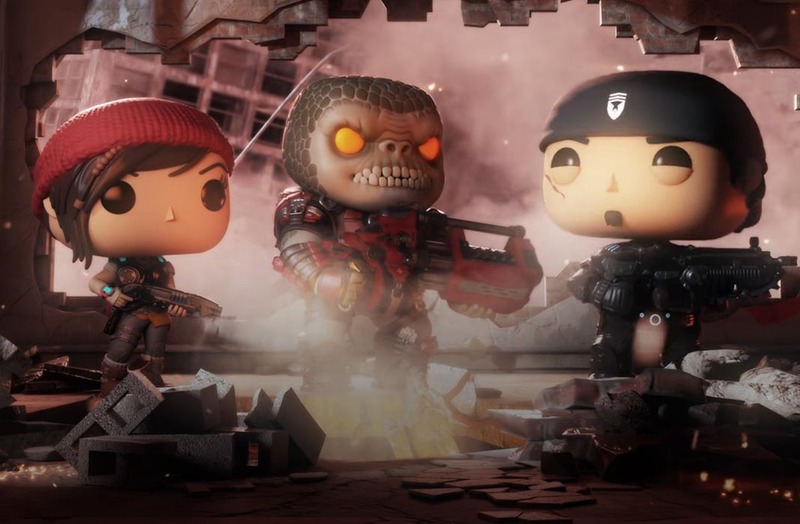 [Update: (11/15/2018)] The first official gameplay video for Gears POP! was just presented, allowing us to finally see how the game is going to work. It’s going to be a real-time strategy title where, making use of the cover you find in the setting, you’ll advance your position until you defeat the leader of the rival side. To do that, you’ll have to deploy troops using cards, Clash Royale-style. There isn’t any in-game content for Gears POP! yet, but we already know that it’s going to be a third-person action game with big-headed models of the saga’s well-known characters, which also serve as a lead-in to the future big releases of the saga: the aforementioned Gears V and Gears Tactics, a strategy game that’s coming to Xbox and consoles. The game is being developed by the British Mediatonic Games, who have worked with Microsoft before on the collectible card game Fable Fortune, as well has having released some other gems previously like Heavenstrike Rivals for Square Enix and that wacky date simulator with PIGEONS called Hatoful Boyfriend. We should probably just leave it at that, before we get too off track here.